Reprinted from M. S. Atkins and B. Mackiewich. Fully automatic segmentation of the brain in MRI. 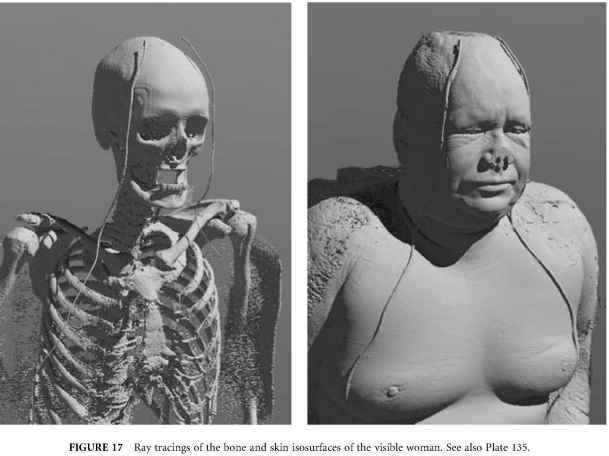 IEEE Transactions on Medical Imaging, 17(1):98-107, February, 1998. © 1998 IEEE. 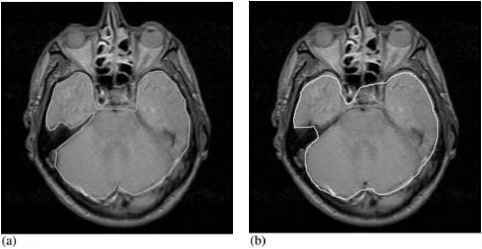 FIGURE 11 An automatically detected intracranial contour overlaid on selected slices of a PD-weighted scan. Reprinted from M. S. Atkins and B. Mackiewich. Fully automatic segmentation of the brain in MRI. IEEE Transactions on Medical Imaging, 17(1):98-107, February, 1998. © 1998 IEEE. A fast hybrid automated technique suggested by Lemieux et al. 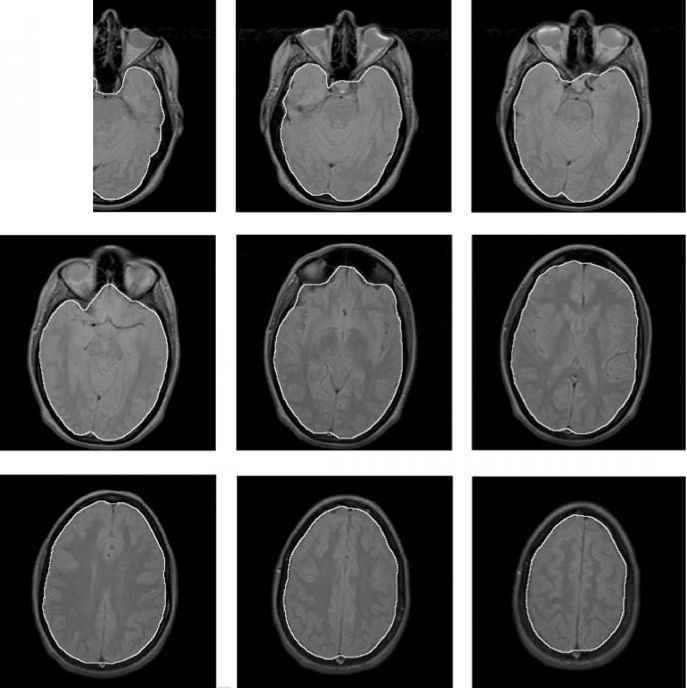 for segmentation of the brain in Tl-weighted volume MRI data is similar to the one presented in this chapter, and it is based on thresholding and 3D connectivity analysis. It requires an accurate characterization of the gray matter and white matter intensity histogram and also uses a model of the brain and surrounding tissues in these images. The method is composed of several image processing steps and has been validated on 20 normal scans. It is fast and appears to offer a useful complement to our method for T1 sagitally displayed images.